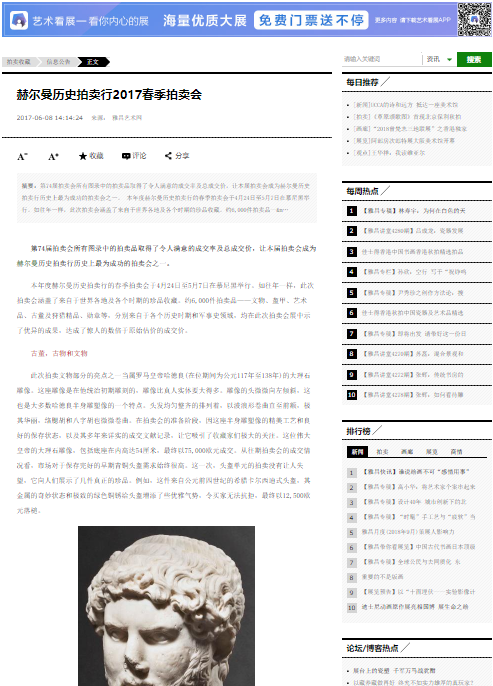 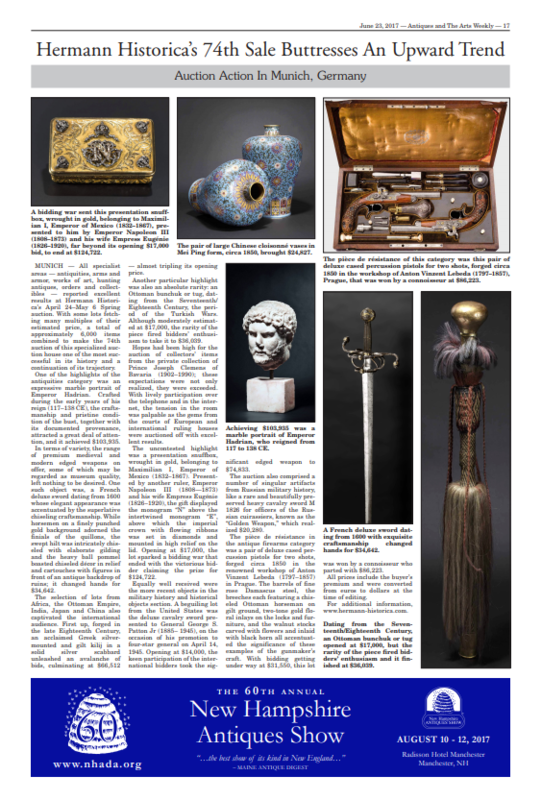 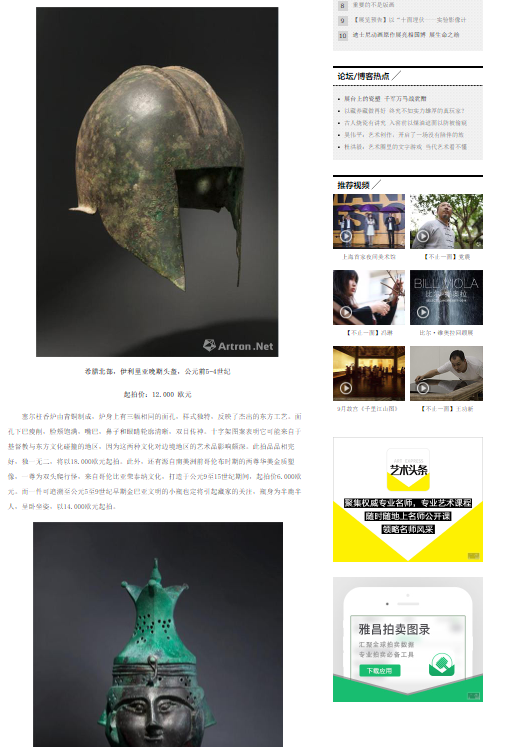 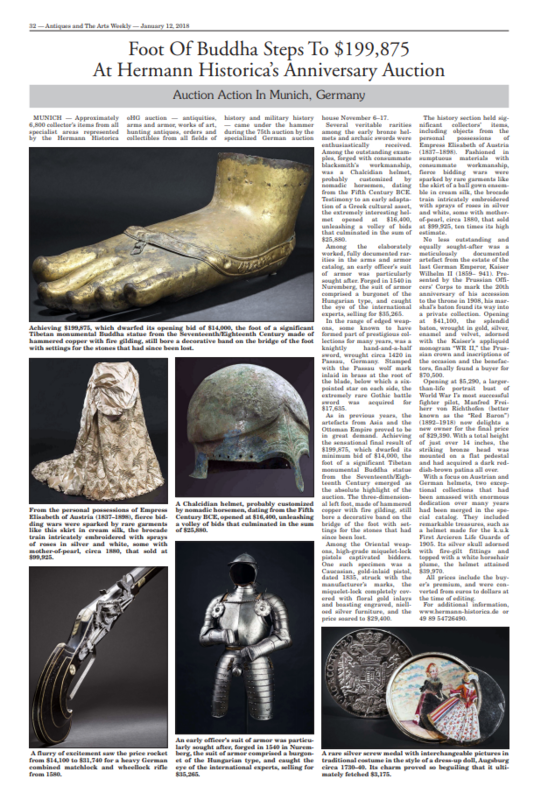 Military careers spanning three millennia in the Spring Auction of the specialised auction house. 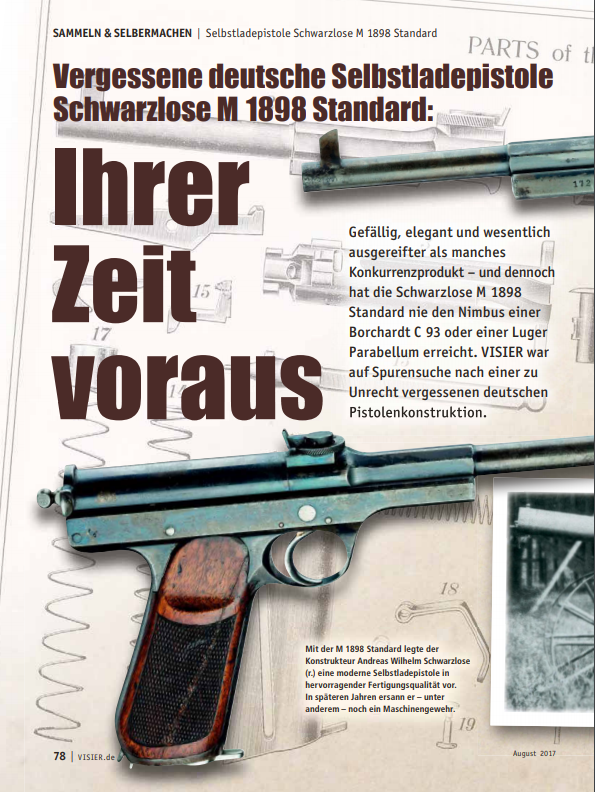 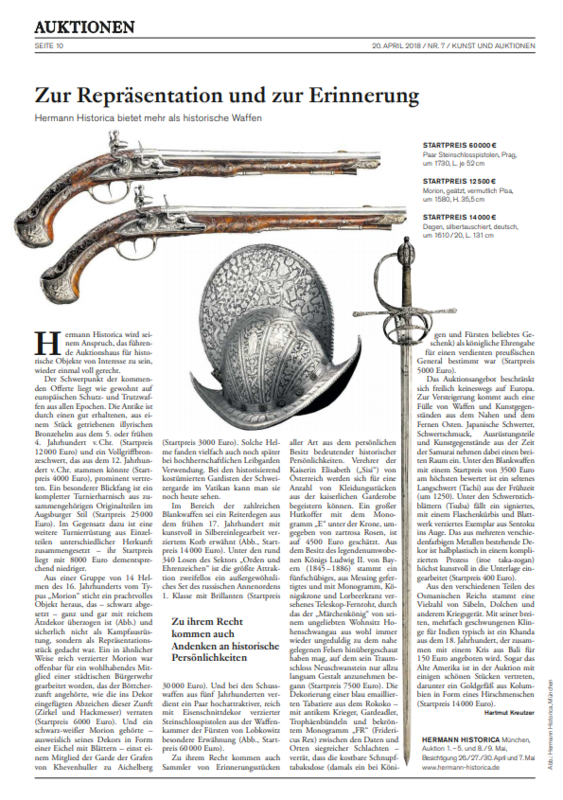 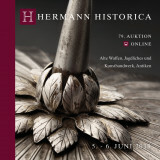 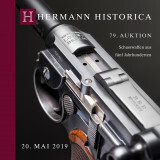 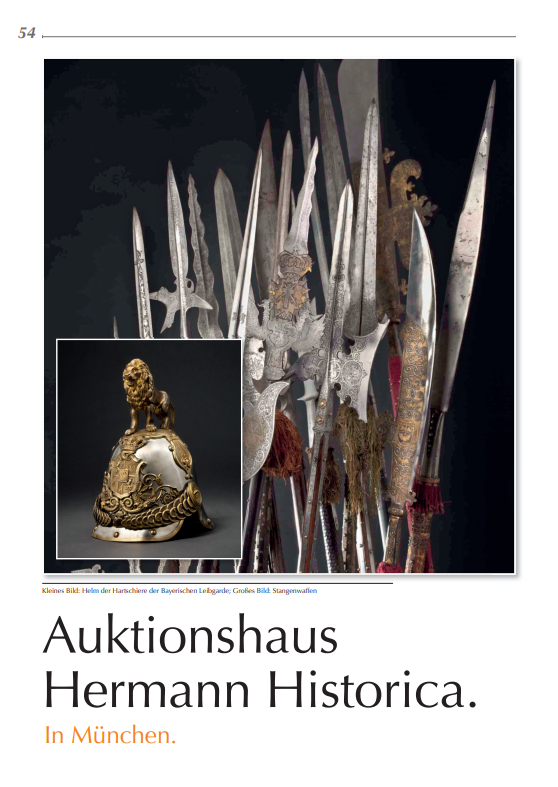 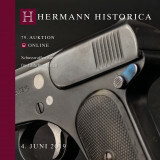 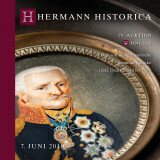 Munich, April 2019 – This year's large Spring Auction at Hermann Historica GmbH will take place in Munich from 20 to 24 May 2019. 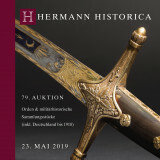 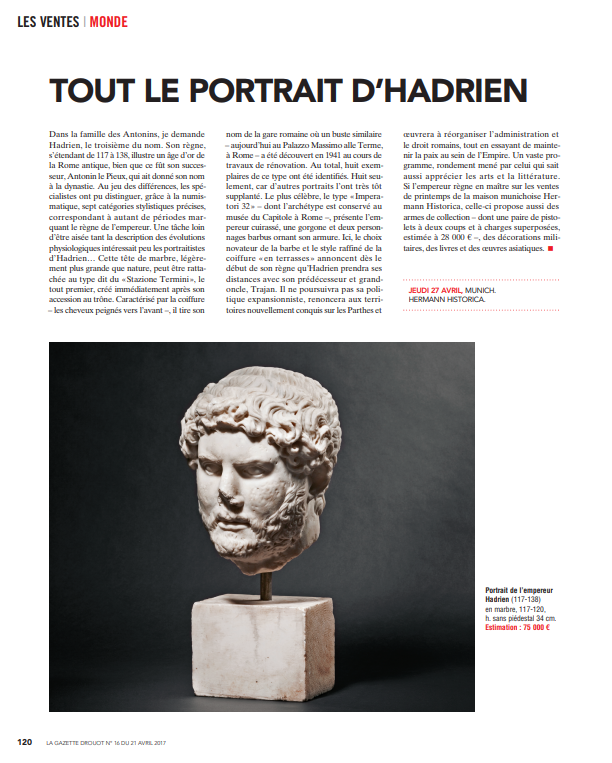 In addition to unequalled armour and helmets or sumptuous artefacts of royal and imperial provenance, the programme showcases superlative masterpieces of the finest craftsmanship among the approximately 3650 lots from all periods and regions. 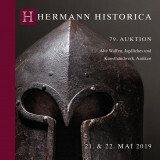 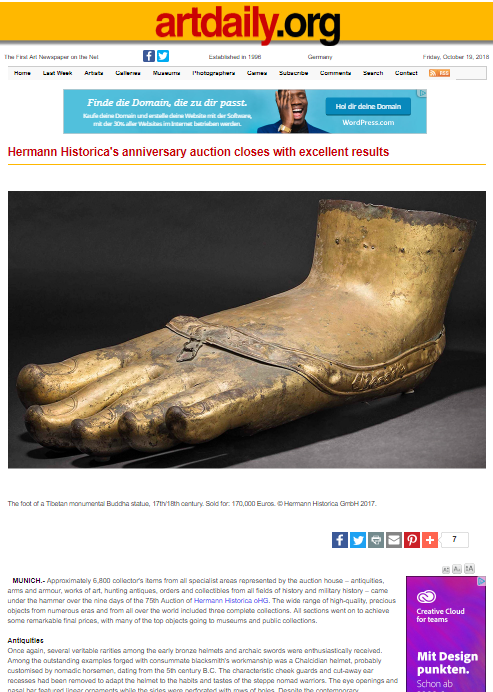 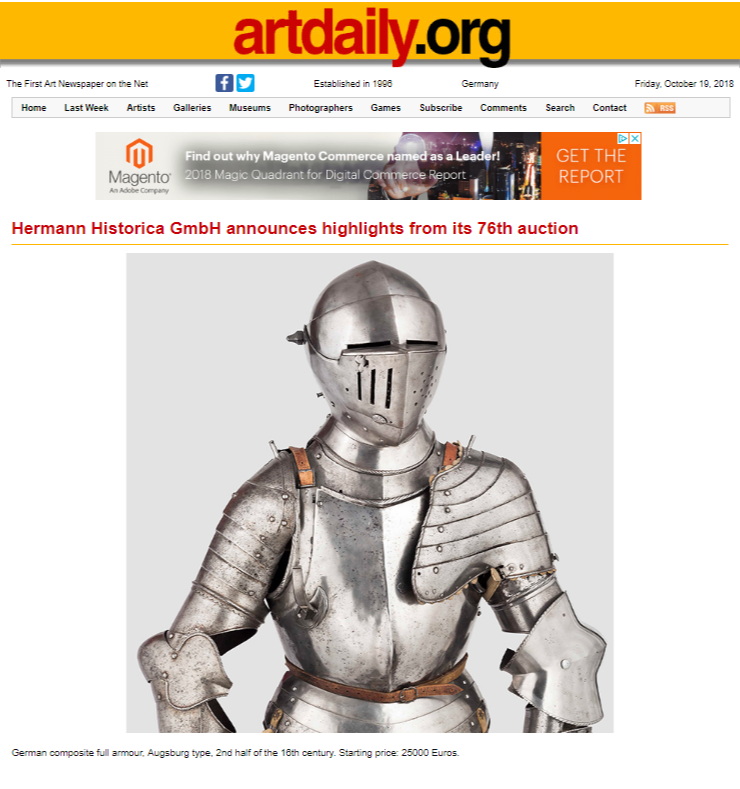 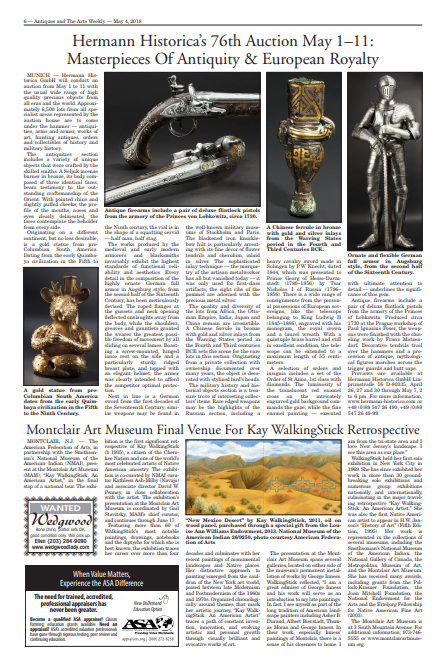 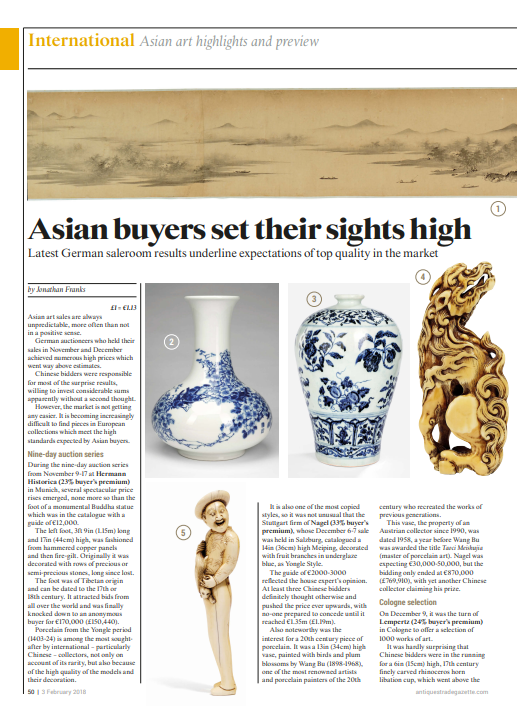 "Hermann Historica GmbH announces highlights from its 76th auction"
"Zur Repräsentation und zur Erinnerung"
"Asian buyers set their sights high"
"Foot Of Buddha Steps To $199,875 At Hermann Historica’s Anniversary Auction"
"Hermann Historica's 76th Auction May 1–11: Masterpieces Of Antiquity & European Royalty"
"Hermann Historica's anniversary auction closes with excellent results"
"Ihrer Zeit voraus - Vergessene deutsche Selbstladepistole"
"Auktionshaus Hermann Historica in München"
"Hermann Historica’s 74th Sale Buttresses An Upward Trend"